What does Vietnam expect from the ‘TPP without the US’? VietNamNet Bridge - Analysts believe that Vietnam will still get big benefits once the CPTPP (Comprehensive and Progressive Agreement for Trans-Pacific Partnership is implemented, though they would be smaller compared to the benefits it expected from TPP. The 11 original TPP (Trans Pacific Partnership Agreement) signatories have come to an agreement, the CPTPP, which is good news for Vietnam, according to analysts. “Vietnam expected to get big benefits from TPP 12, and now expects smaller benefits with CPTPP 11,” he said. Dang Dinh Dao from Hanoi Economics University also commented that the agreement reached by 11 member countries is ‘praiseworthy’ which can show that countries still strive to be a liberalized trade area without the US. He stressed that some countries in CPTPP 11 are also large economies which play an important role in the development of the free trade area. The 11 original TPP (Trans Pacific Partnership Agreement) signatories have come to an agreement, the CPTPP, which is good news for Vietnam. 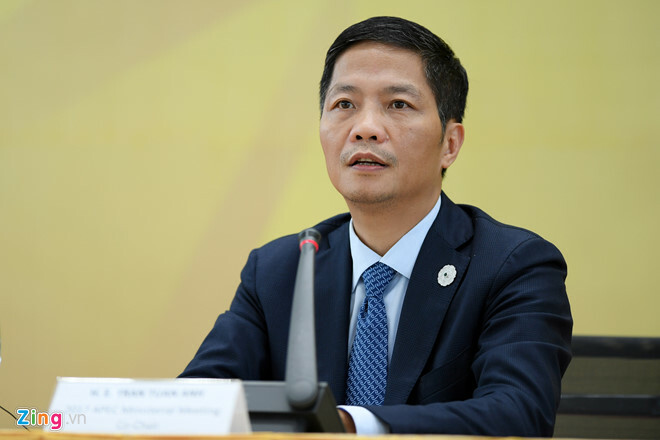 Analyzing the possible impacts of CPTPP 11 on Vietnam economy, Tran Toan Thang from the National Center for Information and Forecasting has shown figures to show that the benefits Vietnam can expect from CPTPP 11 would be smaller than TPP 12. With CPTPP 11, Vietnam GDP is expected to increase by 1.32 percent, while it would be 6.7 percent with TPP 12. The figures are 4 percent and 15 percent, respectively, for export growth rate. CPTPP 11 would increase imports by 3.8 percent, while TPP 12 would lead to a 10.5 percent increase. Though the benefits Vietnam expects from CPTPP 11 are smaller, according to Thang, ‘CPTPP 11 is better than nothing’. He went on to say that when joining CPTPP 11, Vietnam would be able to expand its export markets. Vietnam still doesn’t have trade pacts with Canada, Mexico and Peru. With CPTPP 11, it would have opportunities to reach the markets. Besides, footwear, garment and some other labor-intensive industries would still benefit from CPTPP 11 as exports to the member countries would be increasing. Dao from the Hanoi Economics University commented that countries should not stay outside the trade liberalization trend. “CPTPP now has 11 member countries, but in the future it may admit some more countries,” he said. “Will the US come back? It is a possibility,” he said. Vo Tri Thanh, a leading economist in international integration studies, mentioned the future of TPP at a recent workshop. He said some people think the US will return in around five years. TPP 11: What will Vietnam do?